Meet Kevin—your new acting teacher. 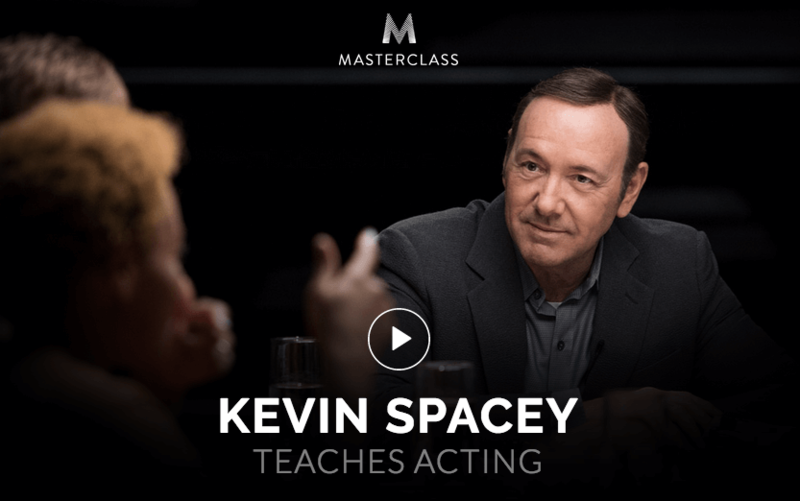 In this lesson, Kevin shares why he’s excited to teach you the craft of acting, and what he hopes you will take away from his MasterClass. Your choice of monologue can define your success. 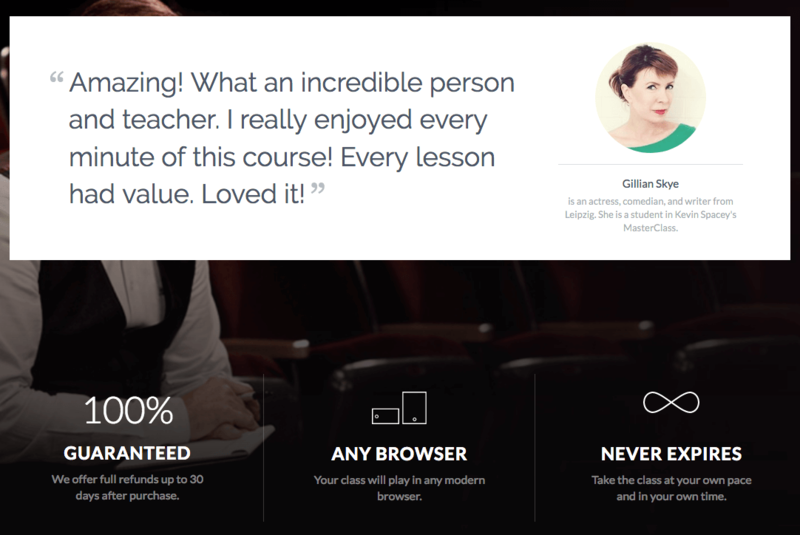 Through Kevin’s insightful critique, learn how to choose a monologue wisely. A monologue is more than just words. Your performance can connect you to the audience, and make your character memorable. Kevin’s unique exercise in this lesson shows you why you have to be willing to let it hurt. How you choose to carve out words not only affects their meaning, but also their impact. Watch as Kevin uses Shakespeare’s Othello to teach a lesson on the proper use of emphasis. Make it real. Learn how a task as mundane as packing a suitcase can breathe entirely new life into a scene. “There’s a difference between knowing the words and knowing how to say them.” After this lesson, you’ll know the difference. Treat this as an exercise in restraint. Kevin teaches you how to hold it in and pull the audience to you. In this powerful lesson, you will learn how to abandon predictability and vary your performance to give it a new life. “The craft of acting is to step into someone else’s shoes.” Kevin challenges you to see how far you can go when you literally cannot see yourself. Experience the freedom that comes from masking yourself. Sometimes taking a steep departure from who you think your character should be allows you to find out who they could be. Learn to use the power of metamorphosis through mask and mirror work. Get out of your own head. Use masks to make unexpected choices that bring your character to life. Kevin shows you how grounding a monologue in an activity that may not be in the text focuses your intentions and centers your performance. Raising your energy level is not the same as raising the stakes. Kevin shows you different ways to apply this concept to capture your audience. Trust the words. Here Kevin will show you how to command presence by believing that the words alone are enough. Watch how grounding a monologue in a domestic activity can reveal your character’s motivation and make your performance more relatable. Learn how to deliver a performance that allows the audience to see the character you’re talking with—without having another actor on stage. Kevin breaks down his approach to spot-on impressions. Learn his three key elements that go far beyond imitating someone’s voice. Learn how Kevin draws from his experiences acting on stage to create a compelling character arc on screen. Theatre is Kevin’s first love. Learn how to rehearse with a company of actors, evolve your character on stage, and deliver a memorable performance night after night. Kevin teaches you how to work with directors to develop character, serve the story, and always remain directable. A key to every great actor’s success is the ability to collaborate. Learn how to listen, react, and be generous to your fellow actors. Learn how Kevin transforms into characters from some of his most memorable performances, including Lester Burnham in American Beauty. Kevin continues to breakdown characters and discusses portraying historical figures like Richard Nixon in his upcoming film Elvis/Nixon. Own the casting room. Kevin teaches you how to overcome nerves, take direction and create a lasting impression. If you’ve done well in the business…it’s your obligation to send the elevator back down. Kevin attributes much of his success to the incredible mentorship he received. Now he wants to offer you that same guidance. Avoid becoming a waiting actor. Kevin talks about the opportunities he made for himself, making sure your agent is on your side, and how to fight for the roles that are right for you. Reality check. Learn from Kevin how to push through the doubt and work when you are not working.